For this special children's show, it performed Revelations, a tale of faith, and tenacity as the story takes the audience from slavery to freedom. The troupe incorporates educational performances like this one in Santa Barbara into its tours. UC Santa Barbara’s Arts and Lectures brought the company to Santa Barbara for a pair of performances Tuesday and Wednesday nights. The Children’s Creative Project, which a Santa Barbara County Education Office program, presented the free program for the kids. A South Coast performing arts group is trying to give people a taste of opera, by stepping out of its traditional theater venue to perform everywhere from schools to retirement homes. Opera Santa Barbara is in the middle of an ambitious schedule of more than a dozen free community performances in Ventura and Santa Barbara Counties. 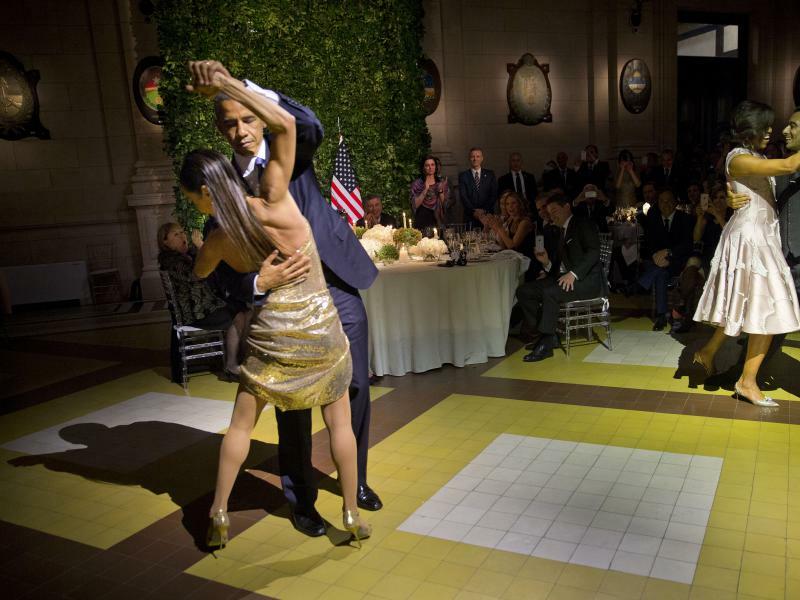 President Obama danced the famous Argentine tango with a lithe dancer in a shimmery gold dress during the official state dinner at the Centro Cultural Kirchner in Buenos Aires, Argentina, on Wednesday night.